Our France Trip is a true adventure, taking you to places of spiritual and historical significance, sacred sites with strong energy and local charm, while traveling through the Languedoc region of Southern France. As we journey we will go slow, taking time to be with ourselves, time to explore the inner journey and what the experience means to us. We will enjoy the comforts of the French countryside while staying in large homes and country estates. This is not just a tour designed to take in as many sites as possible, or spend all day on a bus. The daily trips will all be short drives from our home base in Arles and Puivert, with quiet time built in. We will bring alive the magic of these ancients sites as we offer ceremony and meditation. Each day we share in talking circles where everyone gets the opportunity to speak and be heard, feeling the love and support of our group together. Groups are kept small and intimate, with a lot fun along the way. Cathar Castles and Strongholds – the Cathar people carried the sacred teachings of the Magdalene. For this, they were slaughtered and burned in the Inquisition. 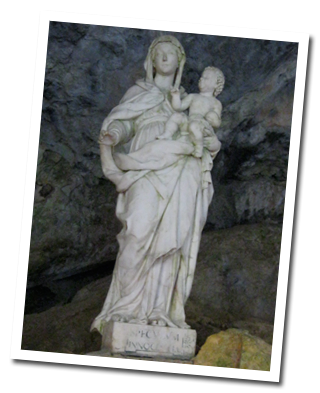 Our journey begins at Sainte Baume, the grotto in the mountain where Mary Magdalene lived and taught. 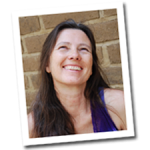 Here she carried on the teachings of embodying the Divine, bringing in her own work with the Sacred Feminine. The energy of this sacred mountain is connected also to Isis and the feminine energies of the water and the land. There are rivers both above and underground running all throughout France, with many sacred wells and other connections with this feminine element. Our journey will take you through the Provencal Region of France. Visiting castles and cathedrals built over ancient wells and lei lines, we will access their power to open our own energy centers. Exploring legends and stories we find their parables and truth in our own lives. We continue to shine our light as we embody more and more of our true self as we journey both inwards and out. The highlight of this journey will be a festive day in the town of Sts. Marie de la Mer at the Festival of Saint Sarah. 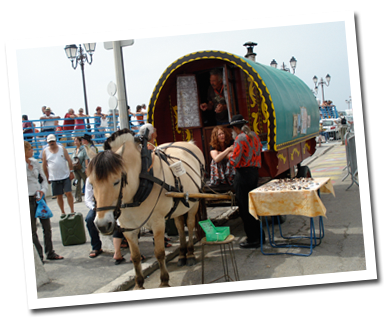 This annual event is the largest gypsy gathering in the world. The gypsies have adopted Saint Sarah as their patron saint, seeing her as a representation of the Sacred Feminine and their goddess Kali. 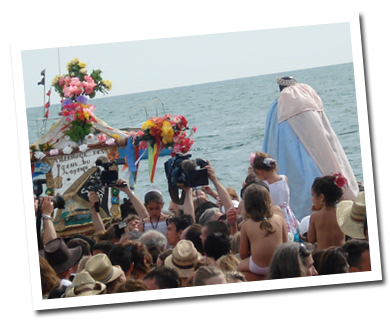 Together with thousands of people we will follow in the procession where they take the statue of Saint Sarah from the church down to the sea where she first arrived on the shores of the Mediterranean. The statue is blessed in the water and then returned to the church. Learn more about The Festival of Saint Sarah.